Adidas has seen the largest percentage increase of negative sentiment of all the brands associated with the ongoing FIFA scandal, according to social data. The data, compiled by data-driven advocacy company Freemavens, revealed the brands that had seen the biggest negative shift in sentiment since FIFA and its sponsors became embroiled in a raft of scandals over the past weeks. Adidas saw negative sentiment rise by a whopping 32500%, followed by Visa (27000%), Budweiser (25500%), Nike, (23700%), Hyundai (16600%), Coca-Cola (9650%) and lastly, McDonald’s (4600%). 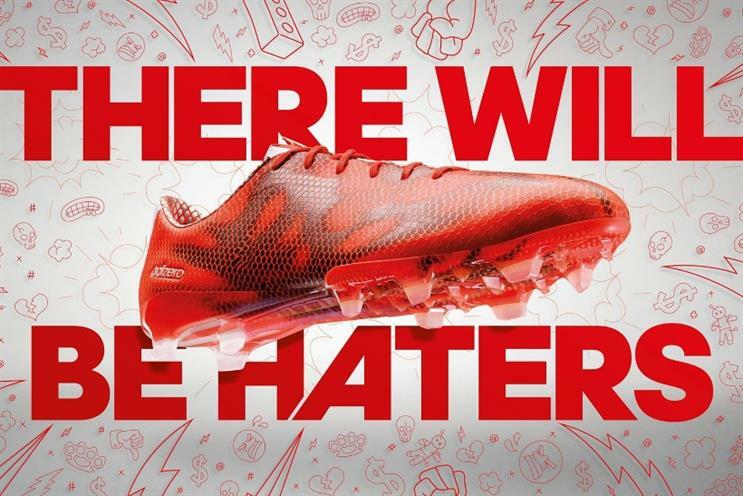 While all brands clearly saw a big rise in negative sentiment as a result of the scandal, brands such as Adidas would have had lower negative comments prior to the scandal, helping to explain why it has fared worse than the likes of Mcdonald's. The differences in negative mentions could also be impacted by the brand’s response to the scandal. Visa has been one of the only sponsors to stick their neck out with any reaction at the time of writing. According to the data, FIFA itself has seen a 110% increase in negative sentiment but with FIFA head Sepp Blatter standing down just days after his reinstatement, the organisation has an opportunity to start making amends. Breakfast Briefing: Selfridges Christmas shop, Apple, Ronaldo 'doesn't give a f**k about Fifa"